Is their anywhere a person might find a chart listing all the fault codes on a pellet controller? i seen a code of u 32 maybe, it was u something i do know that. 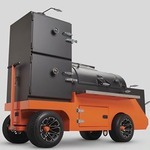 what code does your pellet smoker give at start up? That is the software version, probably U26. No fault code, your controller is working properly. thank you, hadn't cleaned my fire pot in a while, fired up the 640 and it wouldn't lite, auger kept doing its job, filling pot with pellets so turned off 640, pulled off grates and plate, removed excess pellets and found a chunk of ash, it was the size of 2 charcoal briquettes stuck together, cleaned, , vacuumed, re wrapped plate and fired up all ok when fired up is when I got different codes!! H1, H2 and H3 should be the only codes you get when the unit is running, but those aren't fault codes. What those are codes for are the heat-up modes with H1 being least aggressive and H3 being the most aggressive. Those are only displayed if you press the start button after the unit has been started already. I'm happy to maintain the all known error code list and make them available for all users as long as yoder is happy to share them. Coming from software development background it seems like it makes sense to me but unsure if all the users of pellet smokers would need/like to have an access to it ? lukasz wrote: I'm happy to maintain the all known error code list and make them available for all users as long as yoder is happy to share them. Coming from software development background it seems like it makes sense to me but unsure if all the users of pellet smokers would need/like to have an access to it ? There are no "fault codes" or "error codes". Thank you for offering to help out the community.